For many of us who loves eating fried food, the thought about the fats and cholesterol it carries is a scary thing. Over the years we have been warned about the dangers of fats and cholesterol inside our body but then many of the food we come to enjoy are mostly deep fried and it’s so hard to resist eating them. But did you know that there’s cooking oil that can improve cholesterol and help kills harmful microorganism when using it? It’s the Minola Premium Coconut Cooking Oil. 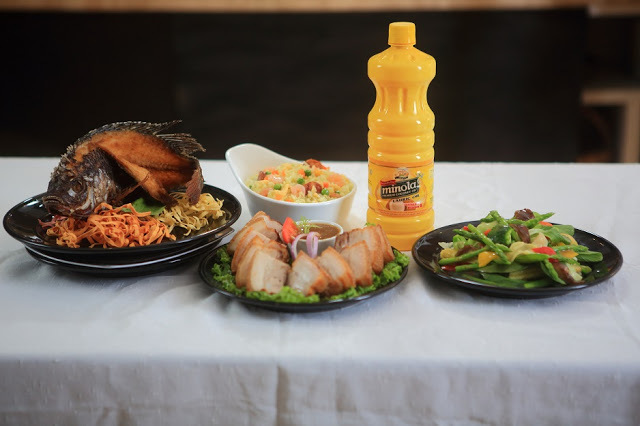 The Minola brand has been around for over half a century and deemed number one in the Philippine Coconut Oil Center and also the leading brand in the over-all in cooking oil category. 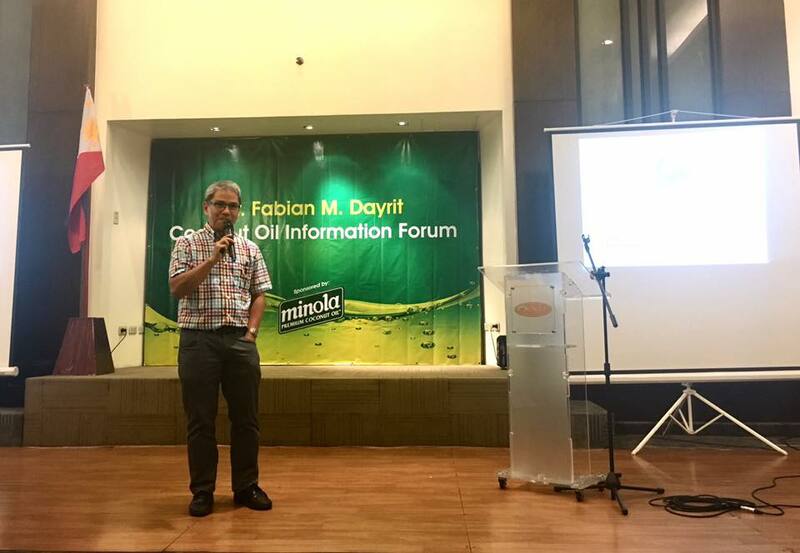 During the media presentation held at the Oracle Hotel last February 28, 2017, Minola and its special guest Dr. Fabian Dayrit, a prominent authority on coconut oil research study and a chemistry professor at the Ateneo de Manila University, provided information about the many benefits of coconut oil, how we are often confused about fats and cholesterol and the goodness of Minola Cooking Oil because it comes from Coconut oil. Minola prides itself on its strict quality standards; its Minola Cooking Oil is one of the leading brands of coconut oil in the Philippines. The use of Coconut oil has become a popular trend in the early years but in the mid 1980’s to early 2000s, a study revealing Coconut oil as unhalthy and causes heart diseases was widely accepted by the general public. Coconut products then suffered a lot and for many years use of coconut oil is considered harmful because of the fats and cholesterol derived from it. It is only in recent years that the study is proven wrong.  This is also the period when Coconut Oil is praised for its versatility. It has many uses and can be used for baking, skin moisturising, speeding up wound healing , increasing hydration for dry skin and of course its main use – frying food. As a superfood, coconut oil can boost metabolism and the saturated fats we used to consider unhealthy is in fact a safe source of energy for humans. Dr. Dayrit’s presentation is an eye-opener. I learned that some oil when put under too much heat creates chemical that is harmful to our body. He also expounded on Coconut oil many health benefits because it contains and is rich in fatty acid called Lauric Acid. As deep fried food have become our staple, at home or our favorite restaurant, what oil we use is important. We need to know that there are various types of oils for various methods of cooking. For deep frying, oil with saturated fats is best cooking. Here’s a basic fact: Coconut oil - being a saturated fat - is capable of withstanding fiercer temperatures, making it useful oil for cooking. When it comes to high heat cooking, coconut oil is your best choice. Since the fatty acids in it are saturated, this makes it very resistant to heat. Overall, eating fried food at home certainly does not have to be unhealthy. What we need is the type of oil you will use and how Minola Cooking Oil is your best choice. Use it so that #HealthierAngRelationship. 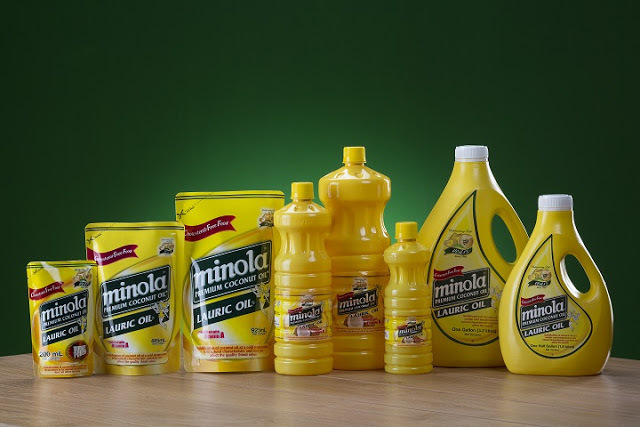 Minola Premium Cooking Oil is one of the products of San Pablo Manufacturing Corp.